You are working and trying to print out important documents when you discover that you are out of ink. This would have been a big drawback in the past. Most printers years ago used daisy wheels or ribbons to print documents. 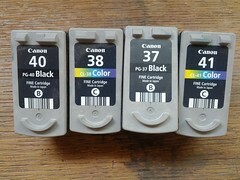 The evolution of printer cartridges should be looked at. 1984 saw the introduction of inkjet printers and printer cartridges. Now changing ink cartridges and printing documents was much easier. Finally, after years of changing ribbons and adding toner ink to reservoirs within the computer. The dot matrix printing method used ribbons. 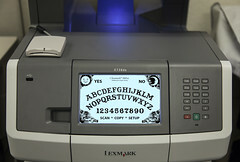 The industry found new ways to make printing easier and convenient. Drop on demand is when the ink is squirted onto the paper through tiny nozzles. The quantity of ink dropped on the page is determined by the software driver as is which nozzle fires and when. By the year 1990 inkjet printer cartridges were generally accepted. Inkjet cartridges can print on almost anything including fabric, film, and almost any size piece of paper. A popular choice for printing is the inkjet printer and they are used in a multiplicity of worldwide settings. 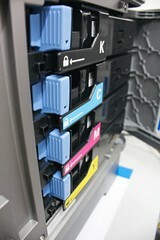 All brands of printers use a particular type of ink cartridges. An identification number is given to each cartridge and the models it can be used in, is generally listed on the package. There is such a wide variety of cartridges, you will need to check your manual to see which is the right cartridge for you. 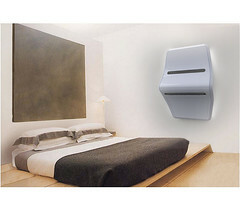 You can save money by getting inkjet refill kits and refill the cartridges yourself. These kits are not liked by everyone since the quality of printing isn’t as good and sometimes the cartridges when reinstalled fail to work right. Some retailers and manufacturers have reconditioned and refilled cartridges available. Compatible cartridges are made according to the exact specifications of the original manufacturer. A compatible cartridge cannot be found for every inkjet cartridge. When choosing a printer find out what kind of cartridge it will use. The type of cartridge will be determined by the type and quantity of printing you will need to be doing. Check with retailers, on the Internet, and manufacturers about the printer you are looking at. The Internet offers discounted cartridges. Use your search engine to find inkjet cartridges or printer cartridges. Many websites offer amazing discounts. To find the best deal for you, some research will be need to be done. When purchasing them pay attention to the top of the cartridge. A list of the models the cartridge can be used in, is on the side of the box. The timeline below has some really interesting facts. This is a terrific list of answers for a trivia game. There was a lot of hard work that went into creating the ink cartridge as we know it. It is easy to see why cartridges are so expensive. An old wine press was used by Gutenberg in 1452 along with moveable type and oil based ink to build the first printing press. Martin Luther made extensive use of the printing press as he began the Protestant Reformation. The typewriter was created in 1714. Although schematics done by Mills were discovered, there is no proof that any typewriters have were actually made. In 1874 Christopher Sholes, Samuel Soule, and Carlos Glidden, made the “qwerty” so named for the first five keys on the top row of the keyboard. A typewriter was developed in 1894 by Franz Wagner that is similar to the ones that are made today. The design he created let typissts watch as they were typing. Paper, in the past, would go through a roller while you typed and you couldn’t see what you had typed until you were done. The Underwood made by John Underwood in 1897 was the prototype typewriter. Charles Carlson developed the first dry writing method developed in the United States called electrography in 1939. The Haloid Company for the first time in 1949 developed electrography for commercial use. When the Xerox 914 came out in 1949 other businesses were forced to update their communication systems. Xerox first introduced dry (laser)printing in 1969 by Gary Starkweather. Xerox released the world’s first business laser printer the Xerox 9700 in 1978. 120 ppm (pages per minute) was the rate of speed it could copy documents. In 1979 the IBM 3800 was capable of printing out 20,000 lines per minute. Use of toner cartridges became passe in the 1980’s. The first home-based desktop laser printer was released in 1984 by Hewlett-Packard. (c) http://www.best-price-printer-cartridges.com Reprint Rights feel free to publish this article on your website but you must agree to leave all active links contained within ‘About The Author’ intact and “as is” and NOT hidden behind a java or redirect script.